Is there any website to download free music from YouTube? If you want to download music from YouTube, you do not have to go through a tedious process. You can download the music using different websites that ensure safe and secure downloads. Most websites require that you have a link to the YouTube music file and once you paste it on the website the download begins. Below is a list of ten websites that you can use to download YouTube music. CatchVideo is a Java based video downloading website where you can download free music from YouTube. It allows fast download of audios, and you can also download videos using this site. 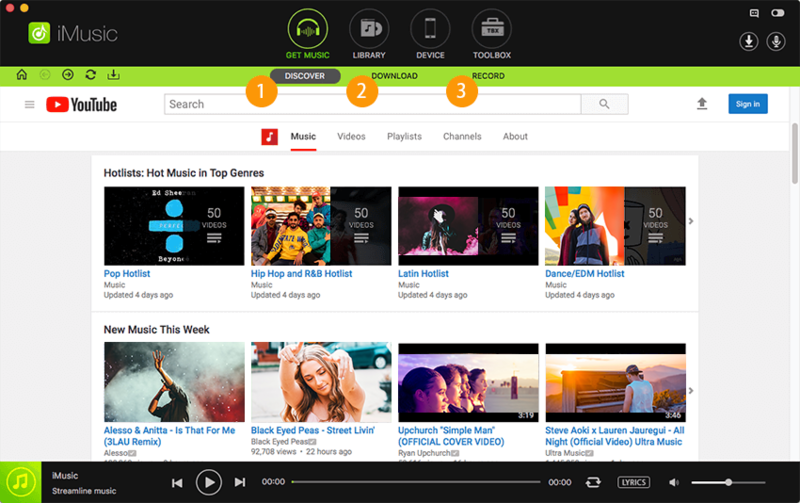 CatchVideo offers a pool of impressive music and video that you can download with ease. 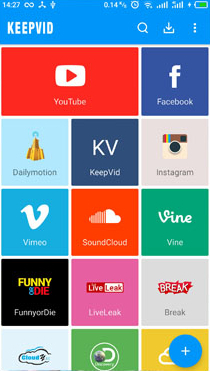 It can also convert videos from YouTube to other formats. 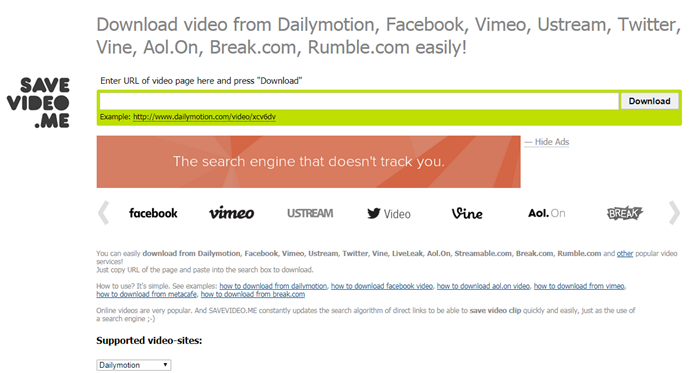 1)	Open the website (http://catchvideo.net/en) and paste the link or enter the search key word in the search panel. 2)	Click the “Catch” button, and the platform will display the formats that can be downloaded for that song. 3)	Choose the one you want and click “Download”. DownVids is a YouTube music download website that supports download of videos and music from YouTube as well as other sites such as Facebook. It supports download of music from YouTube in different formats. 1)	Open the site and enter the URL of the video. 2)	Click the download button at the end of the search panel. 3)	Choose the format of the video. 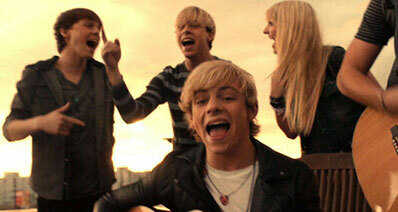 If you want it in MP3, click "Convert to MP3". 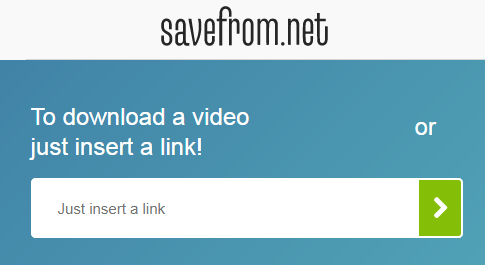 SAVEVIDEO.ME is a website that supports download of music and videos from different music sharing sites such as YouTube, DailyMotion, Vimeo, and others. 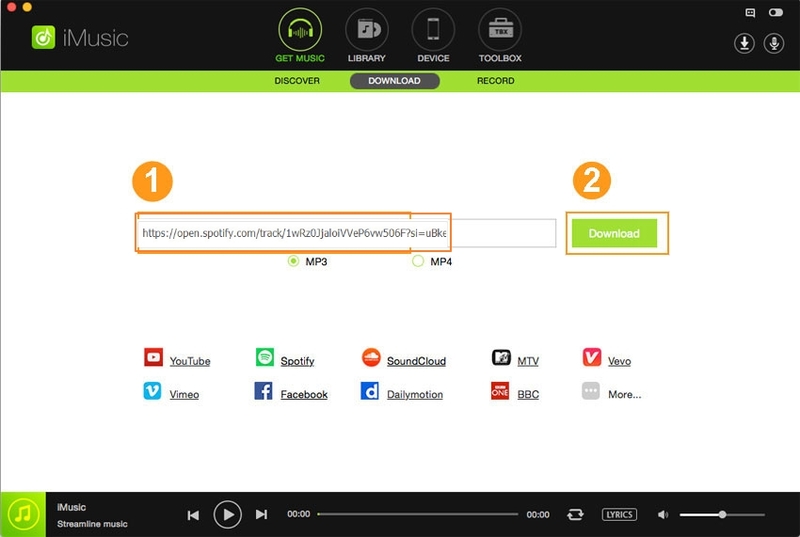 The site requires the URL of the song that you need to download, and once you paste it, the download begins immediately. 1)	Copy the URL of the song from YouTube. 2)	Paste the URL into the URL panel and click the “Download” button. 3)	Right click the “Download Video File” link. 4)	Select the format by clicking “Save Link As” and choose the format you want. 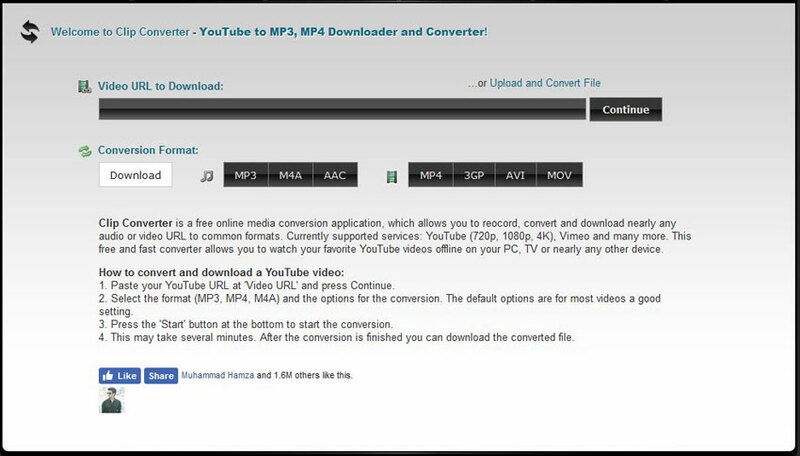 ClipConverter supports download of music from YouTube and other sites. It supports download of almost any music from YouTube. It also supports conversion and download of music in different formats such as MP4, HD, 3GP, AAC, and MP3. 1)	Once you open the websites, paste the URL of the file you want to download and Click the “Continue” button. 2)	Under “Conversion Format” select the format that you need from the list. 3)	Click “Download” to downloaded the song. SaveFrom is a smart YouTube music downloader that helps download music more quickly and conveniently. Apart from using the URL to download music, you can just add ”ss” to the YouTube website URL, and the song will be downloaded. 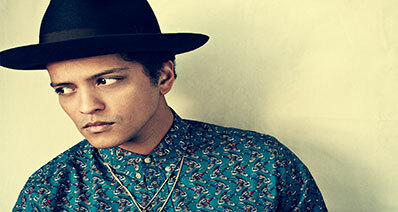 1)	Open SaveFrom.net and enter the URL address of the song. 2)	Click “Download” button on the right. 3)	Choose a format and download. 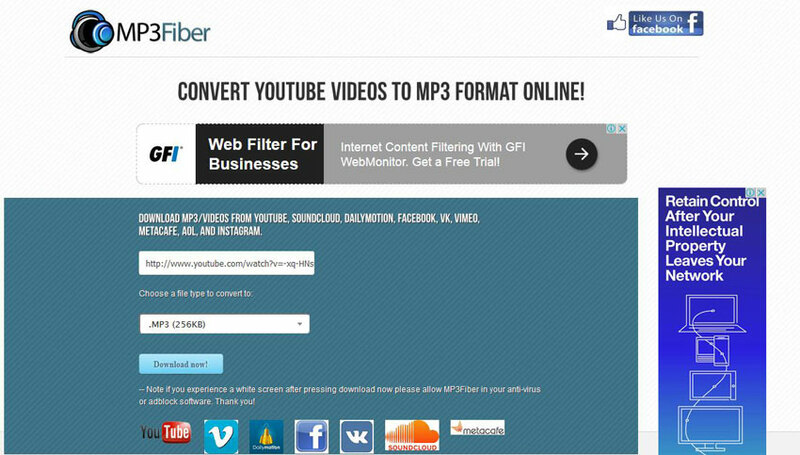 YouTubeInMP3 is a straightforward site which helps download files in a simple interface. Once you enter into the website, you find a search bar where you can insert the link or the title of the video for download, and that is all. 1)	Enter the name or the URL of the song in the search panel. 2)	Click “Download MP3” to download the music in MP3 format. TheYouMP3 is an online site that supports conversion of videos to MP3 where you can download the converted file. The process is simple, and the conversion and download speed is fast. Besides, there is no limit to the number of videos you can process. 1)	Enter the YouTube link of the video for download. 2)	Click the “Convert” button to begin t the conversion process. 3)	You will receive a download link to download the file. 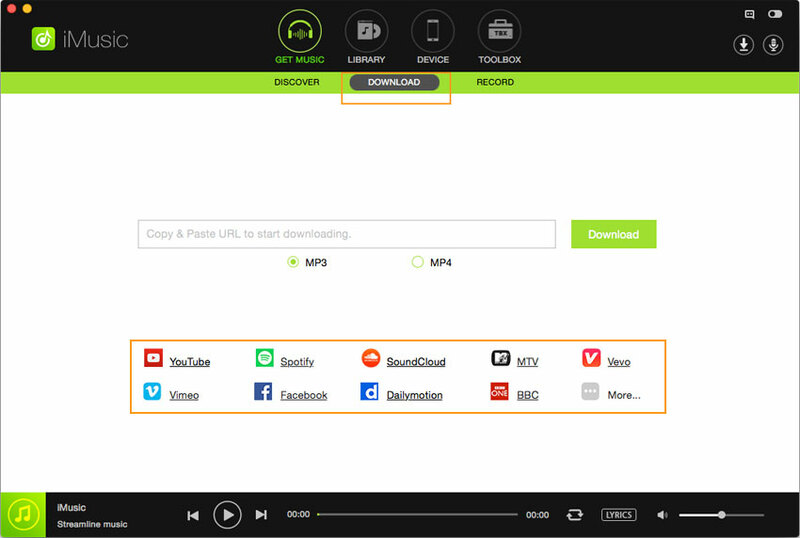 4K Download offers the ability to download music files from YouTube, Vimeo, Soundcloud, or Vevo. You can also convert the music file to M4A, MP3 or OGG format. The website allows 25 downloads per day, and you can also install the desktop version to enjoy more downloads. 1)	Enter the desired music link and Click “Download”. 2)	Choose the file format and click on it to begin the download. MP3Fiber prides itself on its versatility which gives you the option to download video from YouTube and other popular sites. You can convert the video to an audio format and download it as an audio song. 1)	Enter the URL of the YouTube video. 2)	Choose a file to convert to. 3)	Click “Download now” to download the converted file. 2conv is easy to use website that lets you convert YouTube videos to different formats and download the converted file within few clicks. No sign-up or registration is needed for this site, and you just need to copy paste the URL and convert the file. 1)	Copy the YouTube video link. 2)	Paste the link into the input field. 3)	Choose a file format, then click "Convert". 4) Download the converted file from a download link. iMusic is the best YouTube music downloader that you can ever think of. The program helps download video and audio files from more than 3000 music sharing sites, and you can share the downloaded music between iPad, iPhone, iPod, iTunes Library, and other Android phones. iMusic offers an easy way to download music from YouTube, and you just need the link or the name of the song, and the application will do the rest. It records songs from radios and online sites and automatically identifies the titles, artist, albums, and genres of the song. You can browse and download of the hottest albums and playlist within the iMusic library. iMusic helps transfer music between iTunes Library, iPad, iPhone, iPod, Android phones, Flash drives, and computers. It can rebuild, backup, and restore iTunes Library. Step 1: Launch iMusic in your pc and go to the “GET MUSIC” Window. Then click “DOWNLOAD,” and you will see a URL paste box.